Seismologist Emily Brodsky at the Salton Sea Geothermal Field, standing next to ‘Vonderahe 1,’ one of the largest and hottest geothermal wells in the world. It can produce nearly 2.2 million pounds of hot water in an hour, enough to power a 30-megawatt power plant. An analysis of earthquakes in the area around the Salton Sea Geothermal Field in southern California has found a strong correlation between seismic activity and operations for production of geothermal power, which involve pumping water into and out of an underground reservoir. “We show that the earthquake rate in the Salton Sea tracks a combination of the volume of fluid removed from the ground for power generation and the volume of wastewater injected,” said Emily Brodsky, a geophysicist at the University of California, Santa Cruz, and lead author of the study, published online in Science on July 11. “The findings show that we might be able to predict the earthquakes generated by human activities. 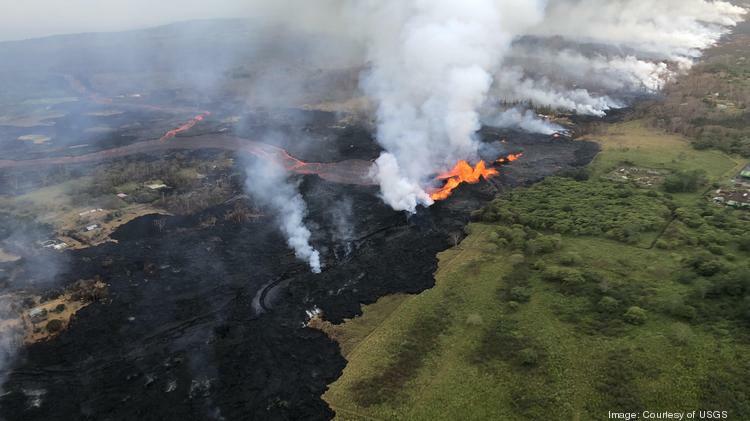 To do this, we need to take a large view of the system and consider both the water coming in and out of the ground,” said Brodsky, a professor of Earth and planetary sciences at UCSC. Brodsky and coauthor Lia Lajoie, who worked on the project as a UCSC graduate student, studied earthquake records for the region from 1981 through 2012. They compared earthquake activity with production data for the geothermal power plant, including records of fluid injection and extraction. The power plant is a “flash-steam facility” which pulls hot water out of the ground, flashes it to steam to run turbines, and recaptures as much water as possible for injection back into the ground. 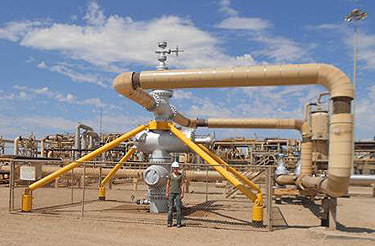 Due to evaporative losses, less water is pumped back in than is pulled out, so the net effect is fluid extraction. During the period of relatively low-level geothermal operations before 1986, the rate of earthquakes in the region was also low. Seismicity increased as the operations expanded. After 2001, both geothermal operations and seismicity climbed steadily. The researchers tracked the variation in net extraction over time and compared it to seismic activity. The relationship is complicated because earthquakes are naturally clustered due to local aftershocks, and it can be difficult to separate secondary triggering (aftershocks) from the direct influence of human activities. The researchers developed a statistical method to separate out the aftershocks, allowing them to measure the “background rate” of primary earthquakes over time. The vast majority of the induced earthquakes are small, and the same is true of earthquakes in general. The key question is what is the biggest earthquake that could occur in the area, Brodsky said. The largest earthquake in the region of the Salton Sea Geothermal Field during the 30-year study period was a magnitude 5.1 earthquake. The nearby San Andreas fault, however, is capable of unleashing extremely destructive earthquakes of at least magnitude 8, Brodsky said. The location of the geothermal field at the southern end of the San Andreas fault is cause for concern due to the possibility of inducing a damaging earthquake. “It’s hard to draw a direct line from the geothermal field to effects on the San Andreas fault, but it seems plausible that they could interact,” Brodsky said. At its southern end, the San Andreas fault runs into the Salton Sea, and it’s not clear what faults there might be beneath the water. A seismically active region known as the Brawley Seismic Zone extends from the southern end of the San Andreas fault to the northern end of the Imperial fault. 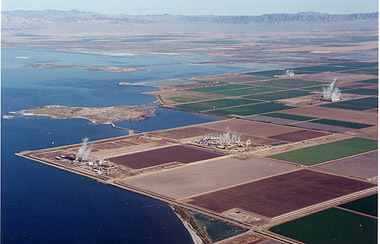 The Salton Sea Geothermal Field, located on the southeastern edge of the Salton Sea, is one of four operating geothermal fields in the area. This research was funded in part by the Southern California Earthquake Center (SCEC).